Jason feels Siobhan is leading Lucky into a trap, even though Lucky is certain that Siobhan is telling him the truth. Jason insists she could have told the truth at anytime and gotten help from them, but didn’t. He tells Lucky that he’s too trusting and lets Siobhan know that there will be nowhere to hide if something happens to Lucky. Brenda blames Carly for the ruined dress and she and Robin head out, looking for Carly. Carly’s upset and taking it out on the staff. Jax tries to be nice, but she doesn’t want to share her problems with him. She wants them to talk through their lawyers, but he wants to discuss the kids. Brenda and Robin show up, and Brenda attacks Carly, blaming her for the dress. Carly denies it, but Jax wonders if she did it. Carly assures Brenda that she has more going on than Brenda’s wedding, which Carly assures will never happen. Brenda announces that no one will stop her from marrying Sonny, even if she has to do it in jeans. Brenda wants Carly to admit destroying her dress to her face, and Jax wonders if Carly is culprit again. Carly is not happy with Jax&apos;s lack of confidence in her and storms off. Jax asks Robin her thoughts, and she says she wouldn’t put it past Carly to ruin the dress. Jax figures if Carly did it, then she did Brenda a favor, to stop the wedding. Brenda’s not sorry she broke up CarJax. Suzanne arrives, but Brenda isn’t interested in hearing about Cartulo, since she’s planning her wedding and storms off with Robin. Suzanne admits to Jax that she’s angry at Brenda’s behavior. Angry enough to rip up a dress, perhaps? 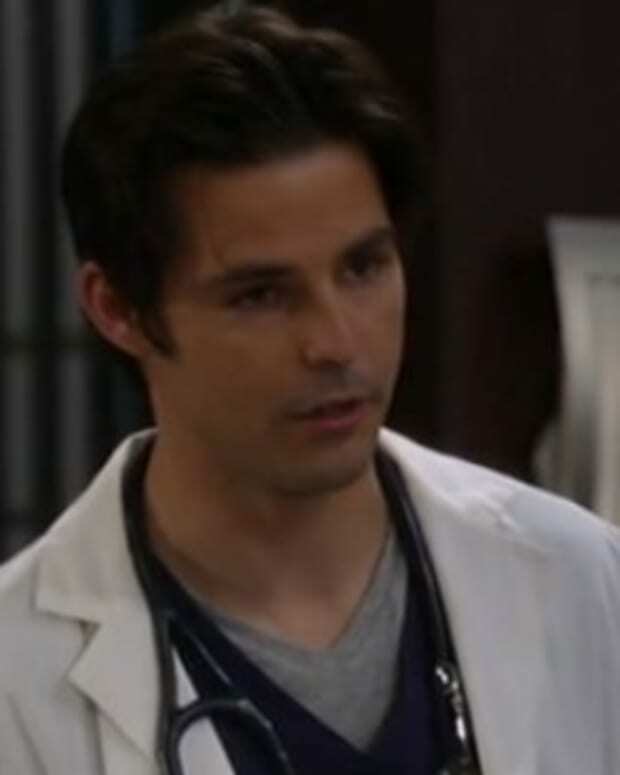 Dante leaves to allow Sonny and Michael to talk. Sonny admits he knows everything and that he wants to help. Michael’s worried his father will be ashamed of him, but Sonny insists that he isn’t and his heart breaks for what Michael has been through. Michael is surprised to hear that it was Carly who told Sonny, but as Michael&apos;s father, he feels he needed to know. Sonny feels responsible, since he married Claudia and brought her into their lives. Sonny is proud of how Michael has helped Abby. Sonny feels therapy will help Michael, since its better not to keep things inside. Sam denies being pregnant, but Maxie and Lulu both try to convince her that’s its possible and she should at least take a home pregnancy test. Sam heads out to buy a test. Dante shows up and Maxie confronts him on whether he loves Lulu or not. Once Maxie leaves, Lulu wonders if Dante has resigned, but he hasn’t. Dante blames his arrogance on the mess Michael is in, but Lulu feels he’s just confused and wants him to go with her. Tracy argues with Mac that she didn’t steal the jewels, but Mac was only issuing the warrant from Interpol. Brook wants her Grannie released. Ethan wants a look at the jewels. Luke calls in Alexis, who isn’t happy to be dragged out of bed. Mac agrees to release Tracy, but she’d rather stay in lock up than go home to Luke. Brook offers for her to stay at Wyndemere, much to Nik’s horror. Tracy agrees to leave, but is now looking for a divorce. Siobhan wants to go to Ireland on her own, in order to protect Lucky, but he convinces her that they should be together. Ronnie shows up, looking for Siobhan and warns Lucky not to risk his career. Lucky says he’s trying to find the Balkan and asks Ronnie for his help. Ronnie agrees to cover for him. Robin pays Jason a visit and blames Carly for the dress. Jason doesn’t believe it, but Robin reminds him that Carly has access to the penthouse. 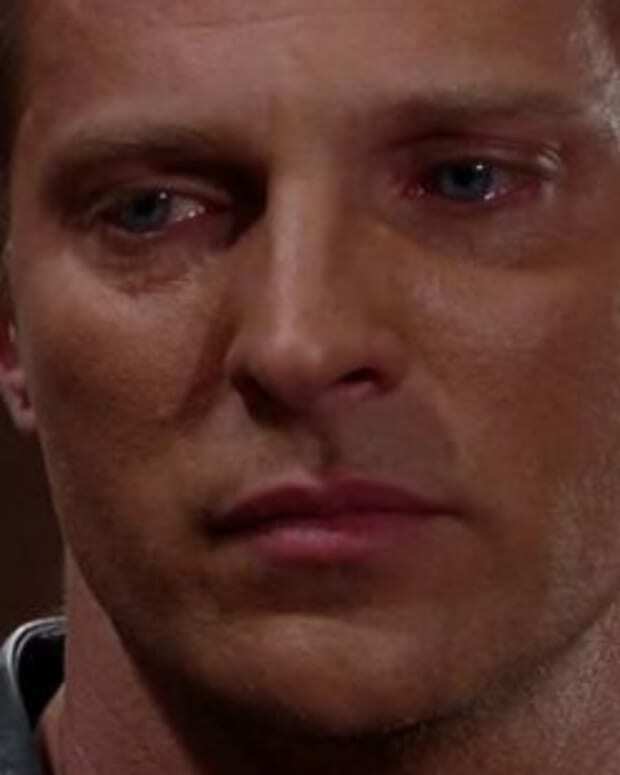 Jason assures her again that Brenda is the last thing on Carly’s mind right now. Robin says Brenda isn’t calling off the wedding, but Jason says he wants her to until the Balkan is caught. Sam comes home with the pregnancy test. Jason gets home and wonders why Sam is so jumpy. Sam admits to the nausea and the dizziness and that she got a test. Carly visits with Michael to see how he is and apologizes for everything, saying that she should have seen something was off, but was distracted by her own stuff. She admits to being very angry about what happened, but gives Michael a hug. Brenda’s stuffing the dress in a garbage bag when Sonny gets home. He wonders about her sadness and she’s worried about the external issues against them. Sonny tells her not to allow anyone to beat them down, and again asks what’s wrong. She shows him the ruined dress and blames Carly. The camera pans to a room, with scissors, a piece of the dress, gloves and a letter addressed to Carly.